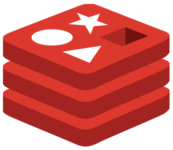 Getting started with Redis is easy. It takes three simple steps – 1. Setup. 2. Connect. 3. Start to code. At the bottom of this page you’ll find additional developer resources in the Redis Labs community such as online training, videos, blogs, webinars, workshops, meetups, conferences and more. There are multiple ways to run Redis. The easiest way to start is to sign-up for the free Redis Cloud service offered by Redis Labs. You can then connect to the Redis Cloud database from your app that runs on any platform (Mac, Windows, Linux), or on cloud or PaaS. If you prefer having a local development environment, you also have a few options to install Redis on a local server. Depending on your operating system, you can build Redis from scratch, run Redis as a container on Docker, or run Redis as a Homebrew service (on Macs). Sign-up for a free Redis Cloud account: Visit the Redis Labs Get Started page, and click on SIGN UP under “Cloud Hosted” section. In this example, 12345 is the port number of your Redis Cloud service. redis-11111.c1.us-east-1-1.ec2.cloud.redislabs.com is the URL of your Redis service. Redis can be compiled and used on Linux, OSX, OpenBSD, NetBSD and FreeBSD operating systems. Follow these steps to build Redis from source and start the server. Redis is one of the most popular containers on Docker hub and was the first database container to reach a billion pulls on Docker hub. Running Redis as a Docker container is quite popular on Mac and Windows platforms. fairly straight forward. Follow the commands below to run or stop a Redis container. Homebrew is a popular package management system for Mac OS. It’s extremely easy to install and manage Redis using Homebrew. If you have Homebrew installed on your Mac, you could run the following commands to install, run and stop Redis. After you have your Redis instance ready, the next step is to connect to Redis and verify that it’s up and working. The easiest way to do this is to test it with “redis-cli” — the Redis command line interface. Redis command line interface sends commands to Redis, reads the replies, and prints them on the terminal. Redis-cli also gives you options to connect to a Redis endpoint based on IP address and port number, and authenticate by providing the password. Redis-cli comes packaged with Redis. If you install Redis on your local computer either via building from source, or Docker, or Homebrew, you don’t need an extra step to install redis-cli. Mac: Install Redis using Homebrew (see instructions above). Linux: Install Redis from source (see instructions above). Docker: Install Redis as a Docker container (see instructions above). This is good for Mac and Windows platforms. Windows: Download and install Redis msi package from MicrosoftArchive page. The package installs redis-cli.exe. Even though it is an older version of Redis, it is compatible with the later versions of Redis Cloud. Case 4: Connecting to Redis Cloud via redis-cli on the Docker container. Redis-cli will take you to a prompt with the URL (or IP address) and the port number if it can successfully connect to Redis. You can then verify whether the server is responding to your queries with basic commands – 1. Ping – this returns PONG, 2. Set – set foo bar – this returns OK, 3. Get – get foo – this returns bar. If you cannot connect to the Redis server for some reason, then you get an error as shown below. Many Redis clients have rich set of features to support connection pooling, pipelining, clustering, synchronous and asynchronous calls, streaming, SSL connections, and so on. Choose your programming language and explore more about the libraries available in your language. There is more than one way to get started with Redis. Explore all our resources for more information.